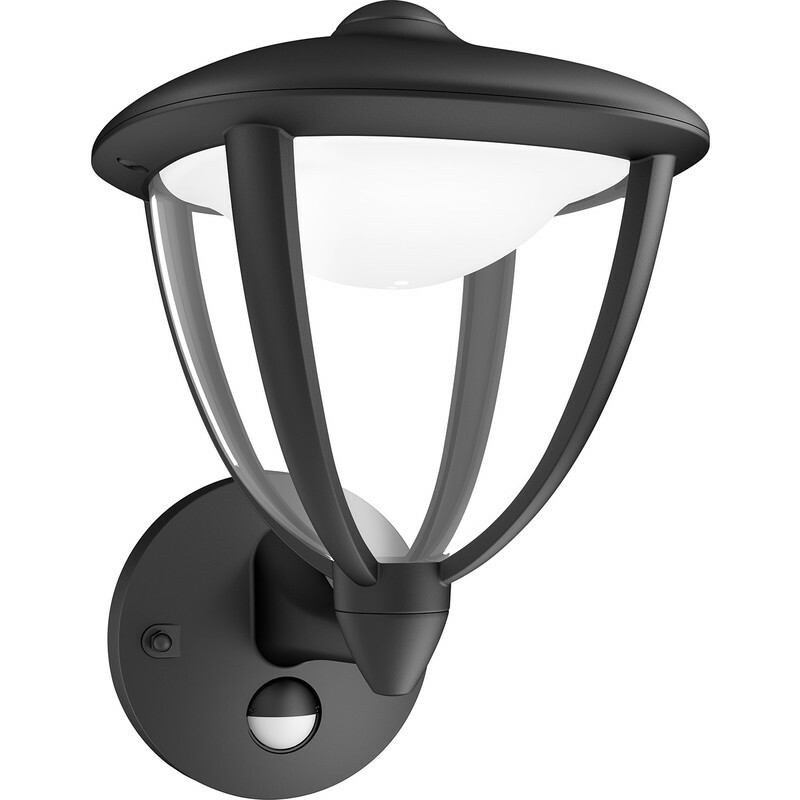 Philips LED Robin Outdoor PIR Wall Lantern IP44 4.5W Black 430lm is rated 4.8 out of 5 by 14. Rated 5 out of 5 by DavidElectrician from Great External Security Light, Robust & Decorative Bright for the low wattage, good area illumination and no glare. the PIR has very good coverage and is easy to setup. I have installed two of these now as it is a tried and tested lighting fitting. Rated 5 out of 5 by Ian 60 from Stylish External Wall light I chose this lamp as Id purchased one a couple of years ago for my daughters house and it has been very reliable.Easy to fit and is a contemporary twist of a traditional design.It has a non replaceable LED bulb,which did initially concern me,but apparently the bulb should last for approx 25 years-Amazing! Rated 5 out of 5 by DizzyBee from Let there be light! Wanted something plainish but not ultra modern minimalist and this fits the bill. Simple lines, good non-glare light and effective PIR. The integrated LED bulb is guaranteed for 5 years, so here's hoping! Rated 5 out of 5 by Peteb from Good well made quality product. Quality product at a very good price compared to other stores. Easy to fit although no wall plugs and screws supplied which could cause concern for some buyers. Rated 5 out of 5 by MAMMIESGIRL from Lovely Entrance light Easy to fit and works well. Rated 5 out of 5 by Lower Kingswood from Excellent LED - Outdoor wall light with PIR Works really well, gives ample light beside my front door - PIR works great, and easy to install.